If you want to work with some of Canada’s most respected litigators, and have fun doing it, McLeish Orlando is a good fit for you! McLeish Orlando is no longer accepting applications for our 2019 Summer Program. Read more about the program below, or click here to ask any questions via email. McLeish Orlando (MO) has been chosen as one of the most respected and successful personal injury law firms in the country – and our success starts with the best people. We want our students to be part of the team from day one. Our summer and articling students are truly an integral part of our litigation practice and are met with daily challenges and opportunities to learn from exceptional lawyers. The lawyers challenge the students to draft motion materials, mediation and pre-trial memorandums, and more, but they also provide all the assistance and mentorship necessary to transition from life at law school to life in a law firm. The students are even encouraged to get out of the office and experience anything from mediations to examinations for discovery, to attend court, and are in regular contact with clients. At McLeish Orlando, our personal injury clients deserve the best legal counsel available and we take that responsibility seriously – and the level of representation our clients get tomorrow depends on the mentorship and training our students get today. Are you up to the challenge? 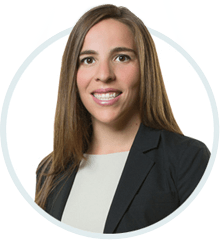 Have questions for our Articling Students? Click on their name below to send them an email. Read a few interviews from former students. We are a small/mid-sized boutique litigation firm with 12 lawyers guided by three Principal Partners – John McLeish, Dale Orlando, and Patrick Brown – who are regarded as three of the most respected lawyers in the country. Many of their Partners and Associates have spent years under their mentorship. This pedigree and firm structure gives students an unprecedented opportunity to learn from decades of experience. Draft memorandums for mediations, pre-trials, various research topics, etc. We take the ‘open-door policy’ to the next level – students are expected to be resourceful and solve problems but you are ALWAYS welcome to ask questions and seek counsel from lawyers. As long as John isn’t at the gym, even he’s available to talk law! At the end of the day, what we do matters! See how your work can affect the lives of our clients by watching a few of our previous clients speak on our Testimonials page. Students are also included regularly at dinners, social/networking events throughout the summer. Not only are these events a lot of fun and a good excuse to get out of the office, they’re also a fantastic way to get better acquainted with the lawyers at our firm as well as other firms in the city/province. 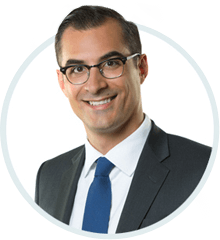 For example, McLeish Orlando is part of the Personal Injury Alliance, which is also comprised of Thomson Rogers and Oatley Vigmond. Why did you choose MO? I knew I wanted to be in court. I asked around and was told that the fields where I would have the best chances of doing that were criminal law, family law, and personal injury. I chose personal injury and looked into which firms were well respected in the field. McLeish Orlando stood out as a leader in personal injury litigation. I got this impression from the reported case decisions, the number of texts authored by, and CLEs chaired by John, Dale and Pat, and recommendations of lawyers/judges. What did you like best about working at MO? Immediate exposure to significant, interesting files. Very welcoming lawyers and staff, who made sure to involve me in the workings of the firm. What was your best memory of summering/articling? It’s hard to pick one; getting first endorsement on a contested motion, seeing my name on a reported decision for the first time, being included in the lawyers retreat. What was your most interesting experience as a law student at MO? How did your experience as an MO student prepare you for practice? The first summer really prepared me for the rest of law school. When I went back and took civil procedure, I knew what a motion record was, and why someone would bring a motion. I knew how to draft one. The experience working in the summer of L1 gave me context to understand the importance of some of the dry procedural stuff that I would learn in later years. Anything else you think speaks to the unique environment/experience here at MO? As a 22-year-old first year law student, I was allowed to prepare motion materials, help lawyers with preparing files for discovery, mediations, pre-trials, asked how I thought the firm could be improved. The opportunities McLeish Orlando gives you as a student are endless. How was the MO student experience different from that of your colleagues at other firms? I was in court way more often, on good files. I attended far more discoveries, mediations, pre-trials than my friends at larger, national law firms. industry. McLeish Orlando was a way I could achieve all three of my goals in a fun, social environment. As a student, what did you like best about working at MO? The best part about McLeish Orlando are the people who work here. Everyone is 100% committed to getting results for their clients and also care about you as an individual. When you want to come to work, you are inspired to do better work. One of the most fun experiences as a student was going on the lawyers retreat. Between the wake surfing, the paintballing, and the dodge ball tournaments, it was really great hanging out with the lawyers and my fellow students in a fun environment. One of my most interesting experiences as an articling student was preparing for trial with Patrick Brown and Josh Nisker. Being part of the trial preparation and seeing some of Canada’s best litigators in action was an unparalleled experience. One of the most unique aspects of McLeish Orlando is the guidance you are given by the senior partners at the firm. Whether it is learning the best tips for getting a trial date at assignment court, or attending your first discovery, John, Dale, Pat, Rikin, Kate, Sal and Alison are the first to offer you advice! The difference between corporate Bay Street firms and McLeish Orlando is the responsibility that you are given as a student. You are treated as a junior associate. The amount of trust the lawyers put in you is terrifying, and encouraging at the same time. It’s a huge sense of accomplishment when you win a contested motion or an HTA trial! 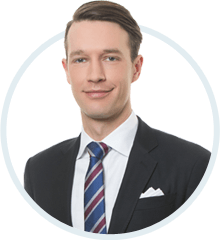 During my first year of law school I summered at a big, multinational firm and although it was a great experience, I felt that there was something missing which led me to participate in Toronto OCIs. After my interview with MO, I knew that I would be given a high level of responsibility and experience to civil litigation that I wouldn’t be able to find elsewhere. I wanted to see how my work impacted clients and I knew that MO would give me that opportunity. Likewise, the culture of the firm is hard to turn down. It’s very fun and friendly with an open door policy. In the end, switching firms was the right choice. The best parts about working at MO are the high level of responsibility and the vast amount of experience that students have access to. Working at MO will allow students to gain a high level of exposure to civil litigation; first, by drafting legal documents such as motions, orders and affidavits; and second, by attending trials, motions, discoveries and mediations to gain a better understanding of how those drafted legal documents apply to the big picture. One of the best memories of summering at MO was when the firm went paint balling. One of the games was lawyers versus students in capture the flag. It was great to see everyone in a different social context although at the same time it’s pretty terrifying seeing a partner charging towards you while you’re defending the flag. Needless to say, in the end the lawyers won. MO has a great social environment with a strong “work hard, play hard” mentality. The most interesting experience I had working at MO was attending motions court where a judge challenged me on a motion and order that I drafted. Having the opportunity to defend my work in the face of a skeptical judge and a room full of on looking lawyers was an amazing learning experience for my first court appearance. One of the most unique aspects of MO is the sheer amount of client interaction. A student will see how their work directly impacts a client and follow the file through it’s litigious steps. Not many firms give that level of exposure to their students. After speaking with my colleagues regarding their summer experience, I realized that the exposure MO gives their students is leaps and bounds beyond other law firms. MO gives students the opportunity to fully participate in all aspects pertaining to a particular file, creating very well rounded students coming out of their second year of law school. The application and hiring process for summer and articling students is governed by the guidelines set out by the Law Society of Ontario. We are not currently accepting applications from external candidates for summer positions. We are not currently accepting applications from external candidates for articling positions.